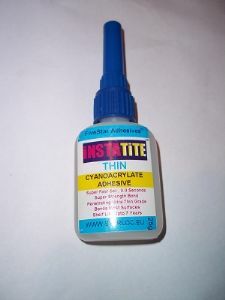 25g cyanoacrylate glue in a special non clog nozzle bottle, our cyano glue has a shelf life 7 years if stored cool and dark. The most universal and highest quality thin cyano you can buy! Set time of this cyano glue is between 0 to 3 seconds, very low viscosity penetrating grade cyanoacrylate..